In 1997, Dr. Jack Blaney was named Simon Fraser University’s seventh president. He pioneered the SFU downtown campus and designed the fundraising campaign that raised $65 million to build the facility. He has served on many boards and is currently chair of the Fraser Basin Council. 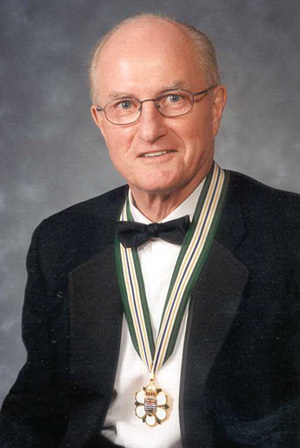 Blaney received the Distinguished Educator Award from the University of Toronto for his leadership qualities, and is also the recipient of the Lieutenant-Governor’s Medal for Excellence in Public Service, given by the Institute of Public Administration of Canada.